I've seen Coma, The Great Train Robbery, Looker, Runaway, and Physical Evidence and still it makes me smile to see Michael Crichton's name listed as director. Pursuit, based on Binary, his last novel written as John Lange, is his first film, a made-for-TV movie. 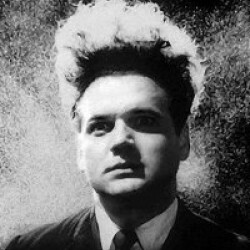 It was followed the next year by Westworld, the only film he directed, in fact, that I haven't seen. I think my reaction is a combination of two things. First, I think of him primarily as an author who, like most authors, doesn't direct his own adaptations (which is true of every one of his books but this one and TGTR). And second, though he once said he believed you could learn everything you needed to know about directing in a month, he failed to mention that style isn't so easily acquired. His movies are well-made, but they lack flair. 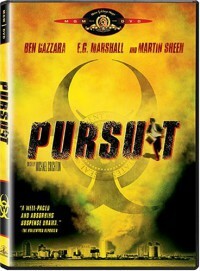 Pursuit is a good movie. Ben Gazzara (if you're old enough, you may remember him as the star of Run For Your Life, a series about a man working his way through his bucket list long before the term was even coined) is pleasing as Steven Graves, the intelligence agent who must stop a wealthy extremist from murdering thousands of people. As the extremist, E.G. Marshall does a fine job. Martin Sheen, in a small role as a computer hacker, is especially good. And there's nothing wrong with the story, which is reasonably suspenseful. So, yeah, it's worth your time, but you won't be texting anyone about it afterward. Crichton hadn't yet developed, and indeed never did, that certain cinematic savvy that would put it over the top. He does, however, include one touch from the novel that echoes forward to the present day: a countdown clock. A TV movie about an agent tracking a terrorist with a countdown clock that appears throughout, especially at the obvious commercial breaks. It's a proto-24. The big difference is, when Graves has his man in an interrogation room, he doesn't torture the hell out of him. Also of note, for those who attach importance to these things, the film is textbook adaptation. Or rather by-the-book adaptation. If, after reading Binary, you thought to yourself, Gee, I'd like to see this in moving pictures, you could, just by watching this movie, it's that close to the original. Crichton didn't write the screenplay, but Robert Dozier, who did, may not have been above a little ego-stroking.